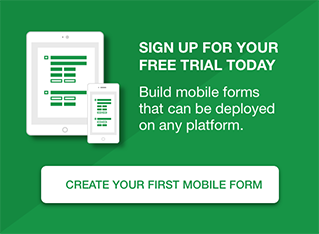 See how one mobile user using the Formotus Now app initiates a workflow that pushes it to another person using the Formotus Pro app. First Gio plays the role of anyone with the Formotus Now app installed. This user is not a registered Formotus account user. He receives a Formotus Now link in an email (it could also be on a web page or anywhere else). 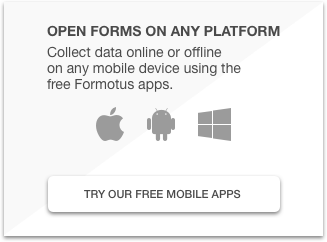 When he clicks the link, the Formotus Now app opens a Site Inspection form. In the Formotus Now app Gio fills the fields of the Site Inspection form to create an inspection job. He assigns the job to an Inspector and submits it, at which point the Site Inspection disappears from the Formotus Now app. 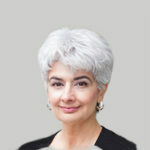 The Site Inspection was submitted to SharePoint — a fact that neither the job creator nor the inspector needs to know. Specifically, it submitted an InfoPath-compatible XML file to a SharePoint form library. In this case, it’s using Office 365, but any flavor of SharePoint will work. When the Inspector opens the Site Inspection, what he sees is that a job is waiting for him online. He grabs it (which is actually checking it out from SharePoint) and opens it, though he could also have grabbed it for later use offline. The mechanism for him seeing this particular form is that his app is filtering the instances on SharePoint by an assignment field in the form, and showing only the forms assigned to this user. Next, the inspector uses the form and demonstrates some popular Formotus features, including a map to find the location, a GPS timestamp marking arrival and departure, business logic that works offline, snapping a photo and drawing on it, and capturing signatures. The inspector submits the draft and it disappears from his the Formotus Pro app. In SharePoint, the modified instance of the form has been checked back into the form library. Not shown: That completed form instance could be re-opened from SharePoint using either the Formotus Pro app or the Formotus Now app by adding a special column with a link to open the XML file. The form instance can also be opened using InfoPath Filler, though the Formotus InfoPath custom controls such as photo and signature would be read-only.